Wargames With China -- We Continue to Lose. You are here: Home / News / Wargames With China — We Continue to Lose. Wargames With China — We Continue to Lose. 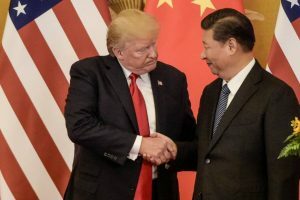 (ThyBlackMan.com) Nations famously tend to always try to fight the last war, and what America is preparing to do today with the newly assertive China is no exception. The problem is our last war was against primitive religious fanatics in the Middle East and China is an emerging superpower with approaching-peer level conventional capabilities and an actual strategy for contesting the United States in all the potential battlespaces – land, sea, air, space and cyber. America is simply not ready for the Pacific war to come. We’re likely to lose. We seem intent on fighting not the enemy we face but the enemy wewant to face. This is a rookie mistake. And we’ve built our strategy around that error. Take aircraft carriers. I have a sentimental attachment to those potent floating fortresses – the Schlichters are usually Navy officers and I’m the random green sheep who went Army. There was a picture of my dad’s carrier (the U.S.S. Lake Champlain) hanging in my house as a kid. I love them – but in 2019 they’re a trap. Of course, it would also be nice if the Navy would emphasize seamanship and basic skills again so that it could keep its super-expensive ships from running into other vessels. The U.S.S. Fitzgerald collision not only killed some of our precious sailors, but took out a key weapons platform – 1/280th of our entire fleet! – because its officers failed again and again and because key systems on the ship were out of commission.